﻿ Video: Bronny James 1st 360 DUNK!! Bronny Gets HEATED vs Trae Young's Team! Blue Chips Put To The TEST! Video: Bronny James 1st 360 DUNK!! 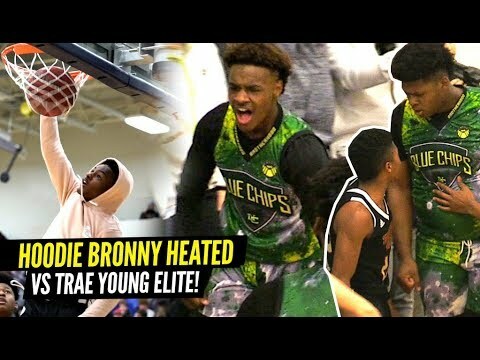 Bronny Gets HEATED vs Trae Young's Team! Blue Chips Put To The TEST! Bronny James and the North Coast Blue Chips faced off against Trae Young Elite in their second game of the Made Hoops "The Warmup Event". Bronny  showed us his new dunk package during warm ups too!